[CLOSED] As an emerging Sydney suburb, our money's on Chippendale. It's the new art scene: White Rabbit, the gallery Time Out's art editor describes as "a temple to 21st century Chinese art" is here, as is NG Art gallery above Mission café). There are hidden, high-end warehouse tattoo parlours such as Tatu Dharma. 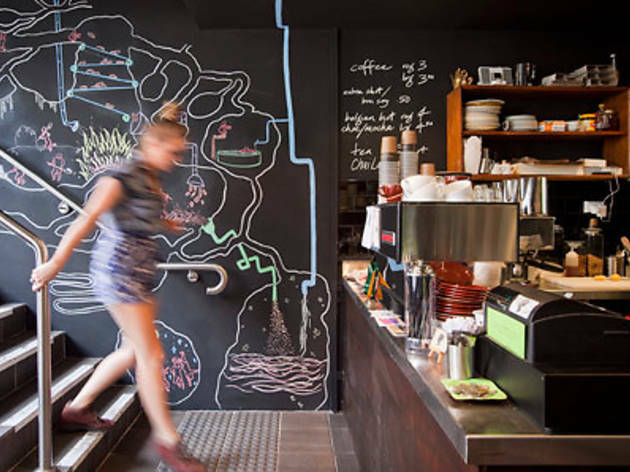 And there's a growing café culture that makes Chippo the suburb we most want to be at and in, right now. While we mourn the closing of the Abercrombie Hotel and aren't quite sure what to make of the enormous construction site they're calling Central Park, our hopes remain high. 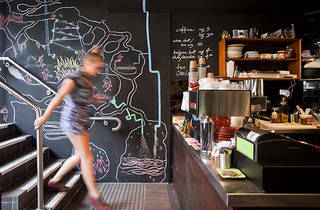 Small and laneway bars will be next: mark our words. But for now, here's Little Queen, a tiny new café brought to you by Rob Fuller (ex-Bourke Street Bakery). It's exactly what you'd expect from a little café like this: a daily salad for $10 – on our visit it's a mix of orange segments, fetta, lentils, peas, and baby spinach topped with thin slices of prosciutto – and sandwiches for $8.50. Try the likes of ham and gruyere and wholegrain mustard on white sourdough (although a little mayo and hot English in place of the slightly astringent wholegrain mustard would really lift this sandwich). We're also quite keen on heading back for the roast beef, horseradish and onion jam number, too. Claim the table in the far right corner, stacked with European art and design mags, the dailies and, pleasingly, the latest edition of Time Out. Drinks-wise, Little Queen keep it simple with bottle juices and mineral waters, Allpress coffee and hot chocs - you won't find milkshakes or smoothies or fresh juices here. While you may not be lucky enough to get service with a smile, you may get it with a song. On our visit, the waitstaff are singing along to Prince and Kenny Rogers. At the moment, Little Queen doesn't operate on the weekends but this may change in the new year, depending on demand. We say bring it on: we want it all and we want it now.